How Thousands Of U.S. Guns Fuel Crime In Mexico Since 2006, more than 60,000 of the weapons used in Mexican crimes have been traced back to the United States. Washington Post investigative reporter James Grimaldi explains how a team of reporters uncovered the names of the top 12 U.S. dealers of guns traced to Mexico. An employee hands a gun to a customer at a gun shop in Fort Worth, Texas. Eight of the top 12 U.S. dealers of guns traced to Mexico are located in Texas. In the past four years, more than 30,000 people have been killed by gunfire in Mexico. But the guns don't originate in Mexico. The one gun store in the country, located in Mexico City, is operated by the Mexican military and under very tight security. Instead, the thousands of guns used by Mexican drug cartels trickle in through the United States. Since 2006, more than 60,000 of the weapons used in Mexican crimes have been traced back to the U.S.
For the past year, Washington Post reporter James Grimaldi and a team of Post reporters have been investigating the hidden life of guns, including how guns from the United States have ended up on Mexican streets. He says it's not surprising that the vast majority of weapons used in Mexico can be traced back across the border. "We're the closest country, it's easy to get guns, it's not difficult to cross the borders with the guns when you get them, and there's very little stopping gun runners from doing that," he tells Fresh Air's Terry Gross. "The efforts by the United States and Mexican authorities have not really been a very strong deterrent in stopping the flow of guns south of the border." Part of the problem, Grimaldi says, is straw-purchasing: when legal buyers purchase guns on behalf of illegal buyers, who remain largely untraceable. "What is happening is dozens if not hundreds of people are going into gun stores along the border, buying guns for this trafficking and then taking them across the border," Grimaldi explains. "Those straw purchases really put the gun stores in the front lines of defending or preventing this flow of guns to Mexico." 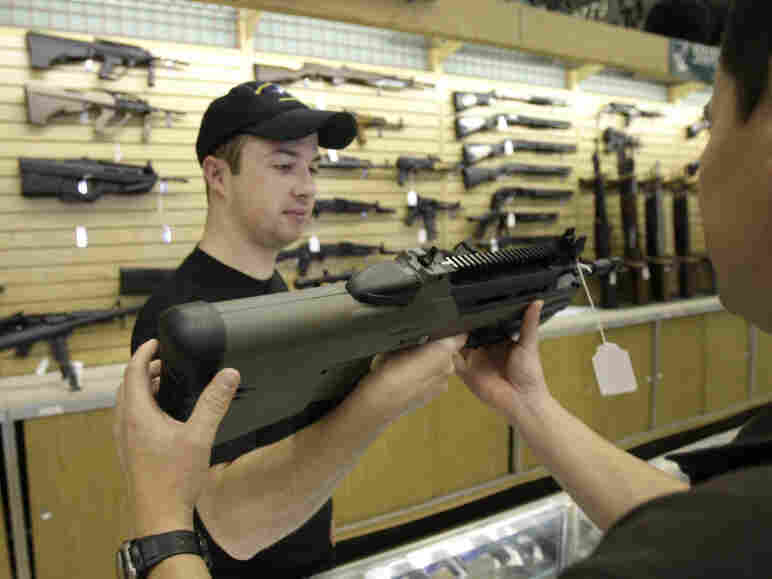 But which U.S. dealers sell guns taken from Mexican crime scenes remains largely unknown. Though the information used to be freely available to anyone who filed a Freedom of Information Act request, the 2003 Tiahrt Amendment passed by Congress prohibits the ATF from releasing gun tracing data. James Grimaldi shared the Pulitzer Prize in 2006 for his reporting on the Jack Abramoff scandal. He reports on national politics, Congress, business, legal affairs and nonprofits. "The gun lobby -- the National Rifle Assocation and gun manufacturers -- went to Congress and asked them to [make gun tracing] off-limits," Grimaldi says. "It basically shut down any news stories that had been published in the past exposing where the guns were coming from -- showing which stores tended to be the ones that criminals went to buy their guns. It [also] took the focus off of those stores that were engaged either knowingly or unwittingly in gun trafficking to criminals." But Grimaldi and other Washington Post reporters managed to break the secrecy surrounding U.S. gun dealers. In an article published in December, they revealed which 12 stores sold the most guns that eventually ended up on the streets of Mexico. "We decided to find out which stores were selling the guns that ended up in Mexico," he says. "In many cases, the gun dealers themselves said they didn't realize they were on the top 12 list, and that's because the ATF was prohibited from telling them that. We've now told them that, and it might mean that they'll be more careful in terms of who they'll make sales to -- if someone walks in and asks for 14 AK-47s, they might ask a few more questions than they ordinarily would." 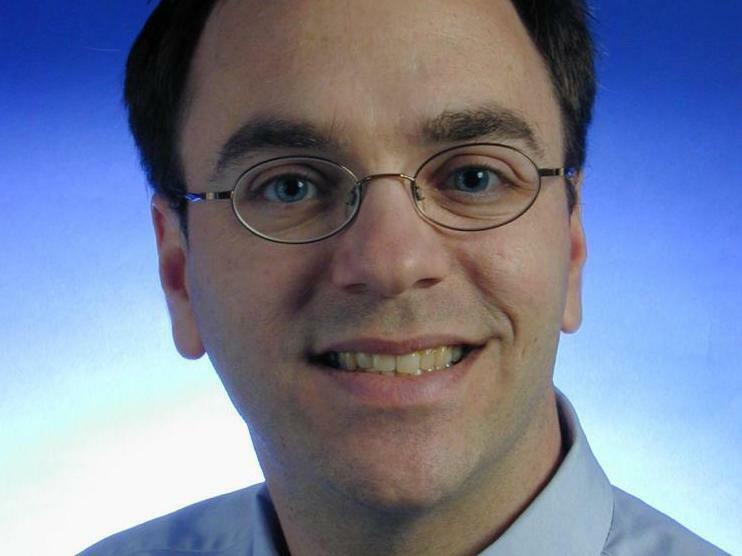 Members of The Washington Post series on guns include reporters James Grimaldi, David Fallis, Sari Horwitz and Cheryl Thompson and investigative assistant managing editor Jeff Leen. "One of the strongest opponents of the Tiahrt Amendment is Mayor Bloomberg of New York City, who co-founded with the mayor of Boston a group called Mayors Against Illegal Guns. They felt like this restriction put limitations on their ability to stop crime in their cities." "There was concern in the White House based on our reporting that they didn't want to upset the gun lobby in Congress. There are many strong friends of the NRA in Congress who would raise up and probably up a limitation on certain kinds of restrictions -- for example, an assault weapons ban was something that was opposed by many Democratic members of Congress when it was first announced by Eric Holder early in the Obama administration. One thing to remember in Congress is, in recent years, it's almost been a fact that Democrats can't control Congress unless they have a number of conservative, rural Democrats, and usually that translates into a strong NRA rating. And so, the White House was concerned just before the midterm elections that something that would rile the base of the NRA would further hurt them in their midterm elections." "They're asking for something that's already required for handguns. They're asking for gun dealers, only along the border, to report the sale of what they call long guns -- basically assault rifles. ... [If this passes,] they have to be reported to the ATF. If that happens, the ATF can actually go and see if this person is using it for legitimate purposes or if they're part of a larger ring. It's a key flag or indicator for investigators trying to stop gun running to Mexico, although this is strongly opposed by the NRA." "It largely comes from the 4 million members of the NRA across the country, and I think it is strongly rooted in our democracy. The fact that even rural states have two senators means that in many of the lower-population states, you're going to have probably strong NRA membership there. Plus they spend at least 20 percent of their budget annually on political activities that begin at the state level and go all the way to Congress. We calculated that just over the past two decades, they've spent more than $100 million in political activities, which includes $22 million on lobbying and $75 million on campaigns. That doesn't include such things as voter information brochures and websites that provide information to voters. And an NRA ranking can make a difference in certain states."